Posted by Anonymous on Thu, 09/03/2009 - 23:24. WOW!!! This is an amazingly well thought out and user friendly piece of software. I downloaded the demo and am blown away. Solid harmonic theory, excellent visuals and UI, very very nice !!! 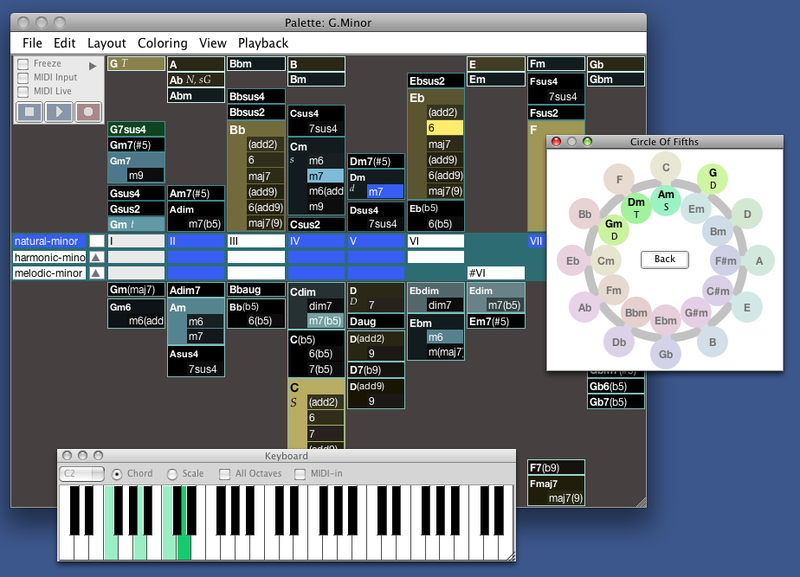 I have been looking for a software to use for building chord progressions and melodies and exploring theory, and this is IT. I do guitar, keys, bass, voice, & songwriting. Thank you for a labor of love kind of awesome software! Posted by Timothy Reichey on Fri, 01/30/2009 - 22:56.